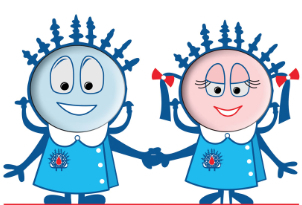 In 2008, Turkish Society of Hematology initiated a new program, the Turkish School of Hematology. This is an initiative towards the EHA passport and hematology curriculum to complement the needs in hematology education and emphasize important topics for the benefit of hematology fellows in Turkey. TSH believe in the importance of hematology training and in its harmonization. After distribution and evaluation of the EHA questionnaire, it is realized that there are some minor missing elements in the education. Within the concept of the Turkish School of Hematology (TSH), TSH initiated a concise educational program capturing 30 young physicians (internists or pediatricians) who started their hematology fellowship in the previous year. The duration of the TSH is limited to three years and a total of 12 courses, which will be concordant with EHA curriculum and passport. Each course will be held during weekends at various places in Turkey within a simulating scientific atmosphere. Since 2008, the hematology fellows increased to 167 up to date. New fellows joined TSH from the nearest course to be held, and asked to complete all 12 courses in a row. All these courses will be held under the unrestricted sponsorship of the Turkish Society of Hematology. The first course which was held in Edirne on 2008, with 17 new fellows, focused mainly on the topics as general skills cited on the questionnaire, covering ethical issues, teamwork, EHA passport and curriculum project, as well. TSH plan to proceed with different essential hematology training topics in each course, including journal clubs and advanced medical statistics. Additionally, it will support them with detailed information about upcoming EHA&ESH courses, tutorials and encourage them to attend and to apply for research and travel grants. This year third semester will start on September and upto now 159 fellows graduated from Turkish School of Hematology.